Everything You Want to know and May Not Know About Water! 1. What is an alkaline diet? In general, an alkaline diet consists of vegetables, low-sugar fruits, along with tubers, nuts, and legumes. The diet avoids grains, dairy, meat, sugar, alcoh ol, caffeine, and fungi. The diet helps to maintain the natural homeostatic pH balance of 7.35-7.45 for the human body. Maintaining a diet that closely matches the natural pH of a healthy human body allows for a minimum of disruption of the acid-alkaline balance. Alkaline foods and liquids have a pH higher than 7.0, while foods and liquids that have a pH below 7.0 are acidic. Purified or distilled water, which doesn’t occur in nature, has a pH of 7.0 and is neither alkaline or acidic. The Alkaline diet (also known as the alkaline ash diet, alkaline acid diet and the acid alkaline diet) is a dietary protocol based on the consumption of foods which burn to leave an alkaline residue. Minerals containing elements like calcium, iron, magnesium, zinc, copper, are the principal components of the ash, as they are incombustible. This burning is compared to the way in which foods are catabolized to produce wastes. Foods are thus classified as alkaline, acid or neutral according to the pH of the solution created with their ash in water. The leading proponent of the alkaline diet is Dr. Robert Young. There are different scientific definitions of pH depending upon where you look, but the most common meaning of pH is Potential of Hydrogen. More precisely, pH is the logarithm of the reciprocal of hydrogen-ion concentration in gram atoms per liter. 3. Why is an alkaline diet of food and drinks important? Hundreds of thousands of people in Canada and the USA who have experienced the benefits of an alkaline diet or drinking alkaline water will proudly explain how their lives have been changed for the better. It is thought that drinking alkaline water or consuming a diet consisting of alkaline foods will help detoxify the body by eliminating a buildup of acids. Skeptics claim that the stomach will immediately eliminate the benefit of alkaline substances, which is true. However, the negative charge, as measured by ORP associated with the alkaline portion of ionized water or food can’t be ignored. 4. Why is pH important? The pH value associated with a food or drink tells us if it is acidic or alkaline. The pH of human blood is typically slightly alkaline and ranges between 7.3 and 7.4. It is thought that the ideal level of pH for a human’s bodily fluids should be 7.365. Infants are born with an alkaline pH. Most Canadians and Americans become more acidic with age as the things they commonly consume are high in acidic content. It is thought that the ideal pH level of pH for drinking water for good health is 9.2 to 9.5. However, when starting out, it is recommended to drink water for a few days to a week at 8.0 to 8.5, then drink water at 9.0 for another few days to a week. The graduation helps the body detoxify slowly which allows the kidneys adequate time to process and eliminate the toxins that are freed up from drinking negatively charged water. 5. What is ORP and why is it important? Reduction potential (also known as redox potential, oxidation / reduction potential or ORP) is a measure of the tendency of a chemical species to acquire electrons and thereby be reduced. Reduction potential is measured in millivolts (mV) and can easily be measured with an ORP meter. While most people read and talk about pH, it is actually the negatively charged ORP that allows the human body to heal itself as the body becomes less acidic. The lower the negative number, the greater the ability to act as an anti-oxidant. 6. What are anti-oxidants and why do we need them? According to Wikipedia: An antioxidant is a molecule capable of slowing or preventing the oxidation of other molecules. Oxidation is a chemical reaction that transfers electrons from a substance to an oxidizing agent. Oxidation reactions can produce free radicals, which start chain reactions that damage cells. Antioxidants terminate these chain reactions by removing free radical intermediates, and inhibit other oxidation reactions by being oxidized themselves. Although oxidation reactions are crucial for life, they can also be damaging; hence, plants and animals maintain complex systems of multiple types of antioxidants, such as glutathione, vitamin C, and vitamin E as well as enzymes such as catalase, superoxide dismutase and various peroxidases. 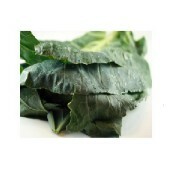 Low levels of antioxidants, or inhibition of the antioxidant enzymes, cause oxidative stress and may damage or kill cells. In terms that are easier to understand, antioxidants are nature’s way of fighting off potentially dangerous molecules (called free radicals) in the body. These dangerous molecules, called free radicals, come in the form of synthetic chemicals such as pesticides, plastics, and chlorine byproducts. Free radicals are unstable molecules that essentially feed off of otherwise healthy molecules in order to survive. Free radicals are generated in the body every day by the tens of thousands, causing cell damage that can lead to chronic and degenerative diseases if left unchecked. The body sometimes creates its own free radicals in order to destroy viruses or bacteria. To balance out these unruly molecules, the body also creates antioxidants, which have the sole purpose of neutralizing free radicals. The body is only designed to create a certain amount of antioxidants on its own however, and as we are faced with an ever-growing number of environmental toxins, the body is less capable of fighting off the unwanted harmful invaders. Fruits and vegetables and water with ionized water with negative ORP values provide the body with an added source of antioxidants that is needed to properly wage war against free radicals. It is believed that a lack of antioxidants can lead to the spread of free radicals, eventually leading to strokes, heart attacks, arthritis, vision problems, Parkinson’s disease, Alzheimer’s disease and various types of cancer. 7. How do I measure if my body is acidic? Testing the pH level of your body fluids is easy. 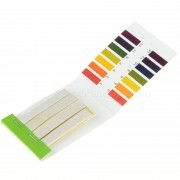 You can purchase pH paper or litmus paper online. Simply moisten the paper with saliva or urine. Match up the colour that is produced with a chart that is provided with the paper. Charts typically range from 5.0 to 8.5. Ideally, you want your saliva and urine to test at 7.2 to 7.4. 8. How did my body become acidic? The primary cause of becoming acidic is your diet. Your diet should be 80% alkaline, but unless you are really careful and eating primarily fruits and veggies, you are probably acidic. Other factors play a role including: exercise, stress, sleep, and even your state of mind. So many of us exercise less and less as we get older and we often neglect sleep for any one of a number of reasons. We all know stress is a killer, and stress definitely increases your acidity level. Your state of mind also plays a role and it is often tied in with stress and lack of sleep. All of the above factors play a role making your body acidic, but the dominant factor is your diet. While we all know we should eat our greens, it is not always easy. It is hard to resist the acidic smorgasbord of great tastes offered by restaurants. Fatigue plays a big role as well, as it is hard to come home from a long day at work and prepare a good meal. The fast food industry advertisements are everywhere, and their convenience is undeniable. Late night snacks are typically terrible for your health. Coffee shops and coffee pots filled with very acidic 4.0 pH are everywhere. Finally, the worst of the worst…soft drinks with their 2.5 to 3.0 pH levels are a big part of our society. 9. What will likely happen to me if I stay acidic or become more acidic? We don’t want to alarm you, but the prognosis is not good. Take a look around you. What do you see? Childhood obesity has quadrupled in 20 years. More than 2 million Canadians and 24 million Americans have Type II diabetes. Almost all of our seniors suffer from Arthritis and we are seeing more and more people in their forties with arthritis. If the above items are not enough to scare you, think about how many people you know who have suffered through cancer. 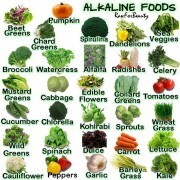 None of these degenerative diseases can survive in an alkaline body. In fact, no diseases can survive in an alkaline body. 10. How do I become more alkaline? Start eating as if your health matters. You may not like alkaline foods, but there are recipes that help. While nothing will absolutely replace eating a raw diet of vegetables and low-sugar fruits, you can purchase green juice powders or use a juicer to make your own with actual vegetables etc. You can also make blended fruit “smoothies” which are great and do the trick. It has been recommended for many years by virtually every health organization to drink eight 8 ounce glasses of water every day which is a gallon, or 2 litres. However, the modern thinking is that people should drink half your body weight in ounces, as humans come in different sizes. Therefore, if you weigh 120 pounds, drink 60 ounces. If you weigh 200 pounds, drink 100 ounces. Better still, drink alkaline water produced by a water ionizer, as it offers significant benefits over tap or bottled water. Exercise. Go for a walk with your spouse, or child, or dog. Work in your garden. Participate in a game instead of watching one. Reduce your stress. Take breaks, exercise, have fun, laugh, love. Recognize that your health is more important than anything. 11. Where should I look for information about alkaline diets? The internet is full of recipe books and ideas. A great place to start is the trilogy of pH Miracle books written by Dr. Robert Young. His books include the pH Miracle, the pH Miracle for weight loss, and the pH Miracle for Diabetes. Dr. Young’s wife Shelly has made dvds on shopping for the right food and making alkaline meals. The blender company Vitamix offers great ideas in their books. 12. Who should I talk to about learning how to become alkaline? Naturopathic Doctors (NDs) and Doctors of Natural Medicine. These professionals have trained how to heal from within for many years. They have been forced to learn how to heal through natural substances because they have never had the ability to rely on pharmaceutical drugs. These talented practitioners understand the importance of being alkaline and how to achieve it. While the medical profession has always frowned upon anyone without a MD designation, the provinces of British Columbia and Ontario both passed laws in 2009 that give NDs the same rights as GPs in terms of the ability to write prescriptions and perform minor surgery. That’s right, the government has finally put NDs on a level footing with MDs. The website for the Ontario Association of Naturopathic Doctors states that Ontario’s NDs have one million patients visits per year. If you are serious about your health and want to become alkaline, call a professional. 13. What role does ionized water play in helping me become alkaline? Water is the single most importance substance that you voluntarily put into your body. While tap water and bottled water are far better than soft drinks and coffee and almost every other substance, they don’t come close to offering what ionized water can do to improve your health. Alkaline water produced by ionizers is water bombarded with negative charges. The negative charges help your body become more alkaline by eliminating acids. Skeptics claim this process is not possible, but they haven’t done their homework. Just ask any of the tens of thousands of people who have had their lives changed by drinking ionized water. The skeptics will claim the improvement is due to a placebo effect, but once again, they haven’t done their research. Talk to a water expert who has worked with water ionizers, and they will tell you their stories from a personal perspective. 14. If I drink alkaline water, can I ignore the other factors involved in being alkaline? Absolutely not! Ionized water is meant to be part of a healthy lifestyle that includes eating properly, exercising, and living a low stress life. Ionized water can and does play a big role in healthy living. The effects of the water are more pronounced in people that are very acidic, but the effects can also be seen over time in people that do all the right things. Ionized water will help change your life for the better, but use the water as a springboard to working on all aspects of healthy living. 15. How much water should I drink each day? Pretty much every health agency recommends 8 eight ounce glasses or 64 ounces of water per day. While the number is a decent guideline, a generalized number doesn’t make sense if you dig a little deeper. For example, an athlete will require a great deal more water to replenish body fluid lost by sweat during physical exertion, than a person with a sedentary job working at a desk. A large person will lose more water than a small person. Every information source that focuses on water recommends that you drink half of your body weight in ounces. That means if you weigh 120 pounds, then drink 60 ounces of water, and if you weigh 180 pounds, then drink 90 ounces of water. That makes more sense. When it comes to athletes, it is vital to long term longevity to drink a great deal of water. The athletes that we are in contact with drink about 6 litres per day, which is a lot of water. 16. Why should I drink so much water? Your body uses up water 24 hours per day. The average adult needs to drink about 2 to 3 litres per day just to replenish what you use up in a day. Dehydration plays a significant role in the aging process. Your skin needs to be hydrated. Hundreds of millions of dollars are spent each year by people putting creams on their skin to prevent dryness and wrinkles. If your skin doesn’t get dehydrated, you don’t need creams to replenish fluids. Proper hydration also plays an important role in maintaining good health. Your body eliminates waste by processing body fluids through the kidneys. If you are properly hydrated, your kidneys will have plenty of fluid to process. If you don’t drink fluids, the toxins in your body will remain for longer periods of time. Drinking more water will make you urinate more often, but that is a good thing. 17. What about drinking other liquids instead of water? Water is the base of every drink, so why not drink other beverages that taste better, or provide a quick energy boost? There are several important reasons to drink water, and nothing but water. Virtually every other liquid that you drink has additives, none of which are beneficial to your body unless you don’t have any other source of energy. Sugar: Adding sugar to water is intended to appeal to those of us that crave the addictive sweet taste or an energy boost. However, the cost to your body is very high, as items like soft drinks and juices are acidic, and you don’t need the extra calories. Soft drinks are the worst food/beverage you can put in your body. Soft drinks are extremely acidic (pH of 2.5 to 3.0) and will eventually harm your body. Juices from concentrate or juices with sugar added are not much better, as they typically have pH levels of 3.5 to 4.0 and they add additives and calories that your body doesn’t want or need. Natural juices are also acidic (pH 4.5 to 5.0), but at least they are natural. Every one of these liquids disrupts the natural homeostasis of your body, thereby making digestion more difficult than it has to be. Putting stress on a system inevitably leads to problems over time. Caffeine: Adding caffeine to water provides a temporary boost of energy, but once again, the health cost is high. Your body doesn’t need caffeine, it needs oxygen and good nutrients. Caffeine typically has a pH of 5.0 but certain types have better pH levels ranging up to 6.5. Many people develop a quasi-addiction to coffee and the “lift” that it provides. Eating and drinking natural foods and water will provide all the “lift” you need without forcing your body away from its natural homeostasis. Alcohol: Alcohol is basically made from sugar and water. Alcohol is actually a poison that your body doesn’t need, and it too can be addictive. Alcohol provides “empty” or wasteful calories. and it is also acidic as the typical pH of alcohol is about 4.0. Alcohol has the ability to help people relax, which can relieve stress, so it can serve a purpose if consumed in moderation. There are much better ways to relieve stress than forcing your body to deal with processing alcohol. Sugar, caffeine, and alcohol can all provide a person with satisfying experiences. It is not necessary in most cases to eliminate sugar, caffeine, or alcohol completely from your diet, despite the fact that none of the substances is good for your body. The key is moderation, and to make sure that you properly hydrate with water, or more specifically, the alkaline portion of ionized water. Cost: Determining the annual cost of consuming soft drinks, juices, caffeine, alcohol, and bottled water for an individual or family is difficult to determine. The calculation depends upon personal choices, and the number of people involved. However, it is safe to say that the annual cost runs in the thousands of dollars per person. That’s right…the average person spends thousands of dollar per year on liquids that hurt them, which is more than a smoker spends on cigarettes. If you don’t think that many of the liquids you and your family are harmful, think again. 18. Is my tap water safe? Health Canada has determined Potable Water Standards for municipal supplies of water. They have established maximum allowable concentrations of toxins in your water. Your municipal drinking water will not kill you, but you should be aware of what is in your water and how it can harm you. Should you be comfortable with the government standards? The only reasonable answer is “NO” if you care about your health. Government safety standards in regards to contaminants in water are designed to prevent water from making you sick right away. Municipalities remove bacteria completely under normal conditions, and reduce toxins and heavy metals. However, bacteria can slip by the cleansing system and toxins definitely remain in the water. What is an acceptable level of risk for you and your family? 19. Is the water coming out of my tap the same all the time? No! While you might expect the odd incidental change due to a heavy rainfall, you would be amazed to learn that what comes out of your tap changes all the time. The pH and hardness of your water will fluctuate in a period of a few minutes. The levels of fluoride, chloride, chloramines, VOCs, bacteria, and other contaminants change all the time. The water quality reports that you find on municipal websites are taken as a sample at a given moment, or an average over time. Here is a good analogy of what you get from your municipal source water measurement. Imagine a drive to work or to visit a family member. Suppose the drive takes 60 minutes and you drive 70 kilometres. The on board computer will tell you that you averaged 70 kilometres per hour. What your computer doesn’t tell you is that at different times, you were waiting at a stop sign, and you were held up in traffic, and you were traveling at 100+ kilometres per hour on the highway for a significant part of the trip. The numbers the municipality publishes are a guideline at the very best, rather than telling you what you may be drinking. 20. Should I be concerned about bacteria in my water? Under normal circumstances, municipalities do an adequate job removing bacteria. However, glitches occur from time to time as the level of contaminants in your water is very inconsistent. People spend thousands of dollars on insurance each year, but don’t spend anything on protecting against toxins in their water. Water is the most important thing that you put in your body, so it makes sense to install an inexpensive home filter system. 21. Should I be concerned about fluoride in my water? Fluoride has been banned in Europe and Asia and should be banned in North America. Arguments are made that fluoride prevents cavities. Much stronger arguments are made to ban fluoride. If you want to use fluoride in your toothpaste, you can make that choice out of free will. 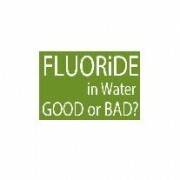 Putting fluoride in the water supply is WRONG! 22. Should I be concerned about chlorine in my water? 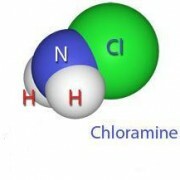 You should not be drinking chlorine. It is not good for you. Municipalities tell us that the levels of chlorine won’t hurt you. What level of toxin is acceptable to you and your family. Would you drink the water from a swimming pool or a hot tub? Of course not! Unlike fluoride, which is completely unnecessary for health purposes, chlorine does serve a useful purpose, as chlorine removes harmful bacteria. Chlorine is a necessary evil, but that doesn’t mean you should be drinking it, or even bathing in it for that matter. Chlorine is harmful to the human body, whether you drink it, or absorb it through your skin during a bath or shower. During a bath or 15 minute shower, your body will absorb approximately the same amount of chlorine as you would absorb if you drank 6 eight ounces glasses of municipal tap water. A simple and very inexpensive GAC (granulated activated carbon) filter will remove chlorine from your water supply. 23. Should I be concerned about chloramines in my water? Municipalities use chlorine to disinfect water in order to remove bacteria. Unfortunately, when chlorine is introduced to raw water, Trihalomethanes (THMs) are formed. THMs are carcinogenic (cancer causing) compounds. Many municipalities are changing their disinfectant from chlorine to chloramines, as chloramines don’t produce THMs. The cost to municipalities of using chlorine or chloramines is about the same, and chloramines last longer. As a result, more and more municipalities are converting to chloramines. Is there any downside to municipalities to using chloramines instead of chlorine? No. Unfortunately for homeowners, it is more difficult to remove chloramines from water than it is to remove chlorine. If you care about removing toxins from your water, or improving the taste of your water, then you are faced with using a more expensive catalytic carbon to remove chloramines. Fortunately, the cost is still minimal. 24. What are THMs and why should I care? Trihalomethanes (THMs) are chemical compounds that are formed as a by-product when chlorine interacts with organic (carbon based) compounds found in sewage treatment plants. The THMs produced may have adverse health effects at high concentrations, as they are carcinogens (cancer causing). Municip alities that use chlorine typically use ozone to reduce THM’s, or they add ammonia gas to chlorine to form chloramines. If your municipality doesn’t use chloramines to remove THMs, you may want to consider adding a catalytic carbon filter for your drinking water supply. The government sets limits as to the maximum amount of THMs allowed in municipal water supplies. The EPA limits the concentration of THMs in drinking water to 0.08 parts per million, which is a very small number. Call your local municipality and ask them what the level of THMs is for your water. 25. What are VOCs and why should I care? 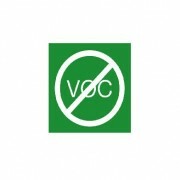 VOCs are volatile organic compounds. Let’s break down what a VOC is. Volatile means that the substance can exist as a gas or a liquid. Organic means that the compound is carbon based. Compounds means the substance is a mix of elements. The most common VOCs are emitted from paints and coatings, industrial cleaning solvents, some building materials, and refrigerants. Governments try to control VOC levels, but enforcement is difficult. VOCs don’t cause acute sickness which means they don’t garner a lot of attention, but they the effects are cumulative. Symptoms show up as chronic irritations such as headaches, nausea, nose and throat irritations, and skin reactions. Since VOCs exist as a gas or a liquid, they eventually end up in our water supply, which means that you need to be aware of the substances and how to eliminate them. Inexpensive carbon matrix filters will remove any VOC’s from your tap water that sneak past the municipality filtration. 26. Does my tap water contain lead and why should I care? Over 80% of water supplied by municipalities contains small quantities of lead. The problem of lead contamination in your drinking water is typically not the responsibility of your mu nicipality because the levels of lead are controlled. The problem with lead contamination occurs after the municipality has processed the water. In homes or municipal infrastructure water supply systems built prior to the 1980’s, lead was used to secure joints, which ends up in your drinking water. Therefore, it is important to have your tap water tested to see if you have lead in your water. Lead poisoning is another contaminant that is cumulative over time. Lead is toxic to organs and tissues including the heart, bone, intestines, kidneys, and both the reproductive systems. Lead poisoning is the most dangerous in children as it can cause permanent issues with learning and behaviour development because it affects the nervous systems. Symptoms of lead poisoning include headaches, abdominal pain, irritability, and can cause seizures, comas, or even death in severe cases. If your water does contain lead, you can purchase an inexpensive carbon matrix filter that will filter out the lead. 27. Is tap water more healthy than bottled water? There is no standard answer to this question, but in general, tap water supplied by a municipality is legislated to be safe. Bottled water is not subject to the same legislation, so the purity of the water is determined by the supplier of the water. 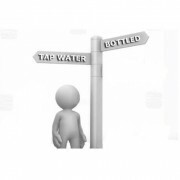 You would think that all bottled water would be better for you than tap water, but that is not always the case. The quality of tap water varies from municipality to municipality and from well to well. In fact, your water quality will fluctuate during the day, and from day to day. 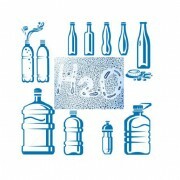 It is estimated that 40% of all bottled is tap water that has typically been subjected to a small amount of filtration. In theory, the additional filtration should improve the water quality, but you never know how the bottled water compares unless you have it, and your tap water tested. Bottled water that has been treated by reverse osmosis or distillation will be more “pure” than most tap water, but pure water is not healthy water. Your body needs the minerals that naturally occur in water. Removing contaminants is a good thing, but removing necessary minerals is not a good thing. As a guideline, choose tap water over bottled water if the water has been supplied by a municipality or if you have had your well water tested. At the very least, you will know what you are getting. If you don’t like the taste of your tap water due to the treatment it has received, you can purchase a very inexpensive charcoal filter to remove the chlorine that causes the bad taste. Bottled water is 2 to 8 times more expensive than gasoline and thousands of times more expensive than tap water. It makes no sense to drink bottled water unless your tap water is unsafe to drink, or if you find yourself in a situation where tap water is unavailable. 28. What does it cost per year for the average person to drink bottled water? The answer to this question depends upon a number of factors such as: how much bottled water is consumed, which brand is chosen, and what percentage is purchased in large 5 gallon bottles that are much more cost effective than small single serving bottles. Adults should typically drink about half a gallon (2 litres) of water per day. If you purchase water in 5 gallon (18 litre) jugs, a jug should last you about 9 days, or 40 jugs per year. That means you will typically spend $250 to $300 per year. If you drink bottled water in single serving bottles, the cost will vary depending upon how you purchase the bottle. Half litre bottles cost anywhere from $0.25 to up to $2.00 per bottle depending upon whether you buy them in cases at a grocery store, or one at a time from a restaurant or store. That means you will spend from $2 to $16 per day, or $700 per year or much higher. In general, people that drink bottled water primarily use the large jugs and supplement with smaller single serving bottles when necessary. Therefore, the average annual cost per person of drinking bottled water is about $500 per year. 29. What is a water ionizer? A water ionizer is a machine that sits on top of, or under your counter. The machine needs to be plugged into an electrical outlet that will supply power to the unit. The machine also needs to be hooked up to a water supply such as your kitchen tap. Water, or H2O, exists in a stable neutral state. Each of the two hydrogen atoms each has a single positive charge, and the oxygen atom has a double negative charge. The entire water molecule therefore is neutral and stable. When your tap water is processed by a water ionizer, the single stream of tap water is split into two separate streams of water through the process of electrolysis. Each stream carries an electrical charge and therefore exists in a temporary unstable state. The unstable charged water will last for a number of days, but the charge becomes less and less as time progresses as the molecules in the water reconnect with the opposite charges that they seek in order to become stable again. One of the streams of water produced by the water ionizer is rich in hydrogen ions ( H+) that carry a positive charge. This hydrogen rich water is called acidic water. A mild form of the acidic water (pH of 5 to 6) can be used effectively as an astringent to cleanse your skin. A strong form of acidic water can be used as a disinfectant for cleaning. The other stream of water produced by the machine is rich in hydroxyl ions (OH− ) which carry a negative charge. This hydroxyl or oxygen rich water is called alkaline water. Alkaline water with a pH range of 8.0 to 9.5 is recommended for drinking water and has been known to offer tremendous health benefits to your body as it helps your body become less acidic. Strong alkaline water that has a pH of 10.5 to 11.0 or more can be used to eliminate oil based pesticides that are sprayed onto fruits and vegetables by farmers in order to prevent insects from ruining their crops. 30. How does a water ionizer work? A water ionizer separates neutral water into positively charged acidic water and negatively charged alkaline water. Separation of water is created by a process called electrolysis. Electrolysis involves running normal tap water over electrically charged plates. Pure distilled water can’t be ionized because it doesn’t contain any positive or negative charges. All other water contains positively charged minerals such as calcium and magnesium that can be ionized. When the water flows over the platinum coated titanium plates, the positively charged minerals are attracted to the negatively charged anode on the plates, while the negatively charge bicarbonates and sulphates are attracted to the positively charged cathode on the plates. As this process takes place, the water gets separated into water that is rich in positively charged water that contains extra hydrogen( H+) ions, and water that is rich in negatively charged water that contains extra hydroxyl ions (OH−). When you first pour the strong negatively charged alkaline water (high pH) into a clear glass, the water will appear cloudy for a short period of time. What you are seeing is hydrogen bubbles escaping and rising to the surface. Once the hydrogen gas has escaped, the water will appear clear again. The water that remains in the glass carries a negative charge and is rich in oxygen. The process of electrolysis is old technology and is simple to achieve. The complex side of water ionizers is the electronics. It takes a great deal of knowledge, expertise, and testing to create a situation where the amount of energy delivered across the plates can be accurately determined by pressing a button. 31. Why is ionized water important? Water is incredibly important to your health. Your body is made up of about 70% water and proper hydration is a key element to achieving and maintaining good health. Ionized water provides additional health benefits that are not available in normal drinking water. Ionized alkaline water is rich in negatively charged hydroxyl ions, which means that it is a very effective antioxidant. Ionized water is one of only three known substances that will bypass the acidic environment in your stomach and carry the antioxidant properties directly to your body (the other two substances are alcohol and sugar). That means that the water is effective in eliminating the harmful excess acid that builds up in our bodies due to the fact that most of our diets are much more acidic than they should be. Eliminating acid from your body will allow your body to fight against degenerative diseases such as arthritis, diabetes, and cancer. Ionized water is produced in micro clusters, which means that it is absorbed by the body much faster than regular water because they are much smaller. The acidic water produced by a water ionizer is a very effective astringent for cleaning your skin, and the more powerful acidic water can be used as a disinfectant. 32. What do water ionizers cure? It is very important in North America that nobody in the health care industry makes any claims about the ability of a product to cure any health issue. The pharmaceutical industry continues to attempt to discredit anyone or anything that has not undergone the rigorous scientific standards of the FDA in the USA or Health Canada. Unfortunately, the process typically takes at least ten years and requires the expenditure of hundreds of millions of dollars. The standards are supposed to help prevent health disasters. The medical and pharmaceutical industries attack any and all anecdotal evidence that ionized water offers any health benefits. The criticism is based upon the fact that there have not been any North American scientific studies conducted on the machines. There are currently many studies underway in North America, and studies have been conducted in Asia that date back as far as twenty years. While we wait for statistical evidence from the studies, the anecdotal evidence from tens of thousands of people who drink ionized water is stunning. Health benefits have been reported for a myriad of physical problems. In fact, one of the issues with ionized water is the believability factor because the water helps so many people with so many different problems. Almost every user of ionized water experiences increased energy due to the increased oxygen level in the water. Many users report weight loss as the fat cells that protect our bodies from excess acid are eliminated. There is a huge amount of anecdotal evidence that the water is incredibly beneficial in dealing with acid reflux and arthritis. Others with diabetes report lowered glucose levels. Still others have reported reduced cholesterol levels. There have been many reports of elimination of various cancerous tumours in different parts of the body. People with fibromyalgia have reported significant relief after drinking the water. Others who suffer from digestive disorders such as colitis and ileitis and Crohn’s disease have reported benefits from drinking the water. The acidic portion of the water has been reported to be very effective in helping skin problems such as eczema and psoriasis. While our staff and consultants have interviewed hundreds of people that have reported many different health benefits from drinking ionized water, we continue to advise anyone with health issues to consult their health care providers. 33. Have you ever wondered why the grocery store sprays water onto the fresh produce? In nature, plants maintain a water balance by constantly replacing water lost to the atmosphere by absorbing water through the roots. If water loss exceeds water replacement, the plant wilts. Harvested produce, whole to partial plants, have no means of replacing water lost and they quickly wilt. Leafy vegetables like lettuce & spinach would wilt first. Waxy skinned vegetables like cabbage and fruits like cucumber and apples will wilt at a slower pace. To keep produce firm and fresh, they are sprayed with water. The reason they do this is because of the plant’s turgor pressure, which is the pressure of the cell’s contents against its cell wall, determined by the water content from osmosis. If there is more solute in the plant than in its surrounding environment than you have a hypotonic solution where water diffuses into the cell to achieve equilibrium. Thus, by routinely spraying the vegetables with water, it keeps up their turgor pressure and keeps them nice and crisp for us to eat. There is a delicate balance between too much and too little when it comes to the hydration of green vegetables. Spraying vegetables with water makes the concentration of water outside their cells greater than the concentration inside the cells. Water will then diffuse into the cells of the vegetables by osmosis. This will cause the cells to swell and the vegetables to look more full and less wilted. Spraying can also limit shelf life because the extra water lets micro-organisms start degrading and eventually spoiling plant tissue. 34. 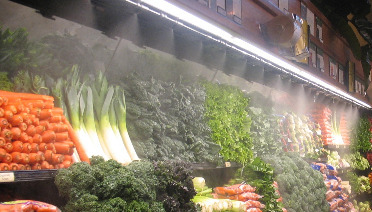 What type of water is being sprayed onto fresh produce in the grocery store? The other day at the grocery store, I observed a fellow connecting a regular everyday hose and nozzle up to a regular junction point in the pipe system within the fresh produce department’s regular display area. The spraying seemed to be of a normal light mist, but then it occurred to me, “Where is that water coming from?” Assuming that the water source is being fed from the water main itself, it is coming from the regular public utility water supply (tap water). Being an organically grown, fresh produce consumer it became evident that even though certain aspects of the organically certified produce have been placed under great measures of quality control throughout the stages life, there are aspects which we take for granted once it arrives at the grocery store and is placed onto the shelves prior to the purchase for consumption. Has the tap water that is being sprayed onto the produce reduced the actual pH level within the item? Has grocery stores water spraying contaminated my organically certified purchase? It is conceivably possible that the water being sprayed onto the fresh produce has altered the alkalinity which ultimately holds the nutrition stored within. Another thing to be aware of is the chemical residue that is within the water supply. Such residue from chemicals include the levels of fluoride, chloride, chloramines, VOCs, bacteria, and other contaminants such as various bacteria and dusts associated to the purity of the air quality. Also, the pH and hardness of your water will fluctuate as well. Yet, we still haven’t added the thought of all the hands that have touched that product from seed to store as well as all of the consumers who have handled it at the display itself. When considering what types of compounds and bacteria is on those hands…that’s another conversation. Consider some of these simple facts about water testing. Ask questions and you will come to your own conclusions which, we suspect, will be similar to what is discussed herein. What is in that water from the tap? Is the water coming out of my tap the same all the time? Disinfection of water is a critical step in minimizing the potential transmission of pathogens from a water source to produce, among produce within a lot, and between lots over time. Waterborne microorganisms, whether post-harvest plant pathogens or agents of human illness, can be rapidly acquired and taken up on plant surfaces. Natural plant surface contours, openings, harvest and trimming wounds, and handling injuries can serve as points of entry for microbes. You would be amazed to learn that what comes out of your tap changes all the time. The pH and hardness of your water will fluctuate in a period of a few minutes. The levels of fluoride, chloride, chloramines, VOCs, bacteria, and other contaminants change all the time. The water quality reports that you find on municipal websites are taken as a sample at a given moment, or an average over time. 35. What are the benefits of soaking fresh produce, fruits and vegetables in alkaline water? Alkaline based water is classified as a disinfectant/detergent thus allowing you to remove oil based pesticides from fruits and vegetables. Regular rain and tap water will not remove the oil based pesticides and herbicides as 6.5-7.0 pH water is neutral. Soak fruits and vegetables for 5 to 10 minutes and then briefly add an additional rinse cycle for the fruits and vegetables.